Good afternoon! 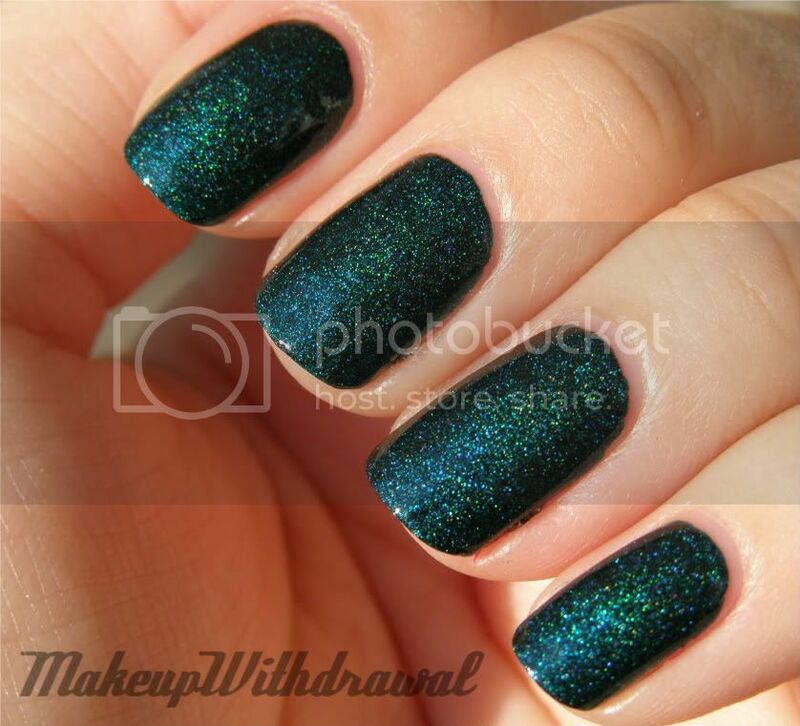 Today I want to show you the other a-england polish that I ordered from Llarowe last month. 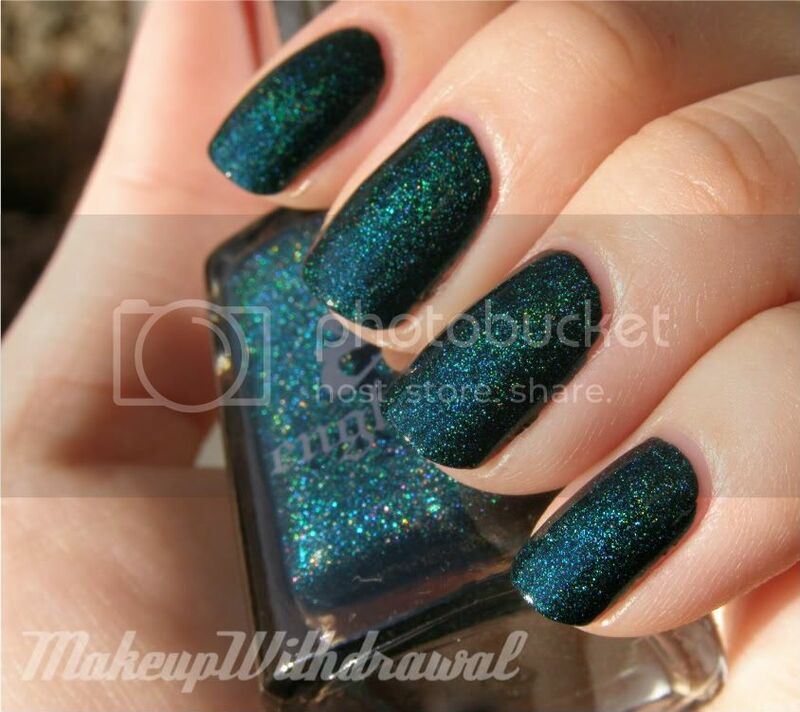 I've learned that there are holos and then there are a-england holos. This particular one is called Saint George. 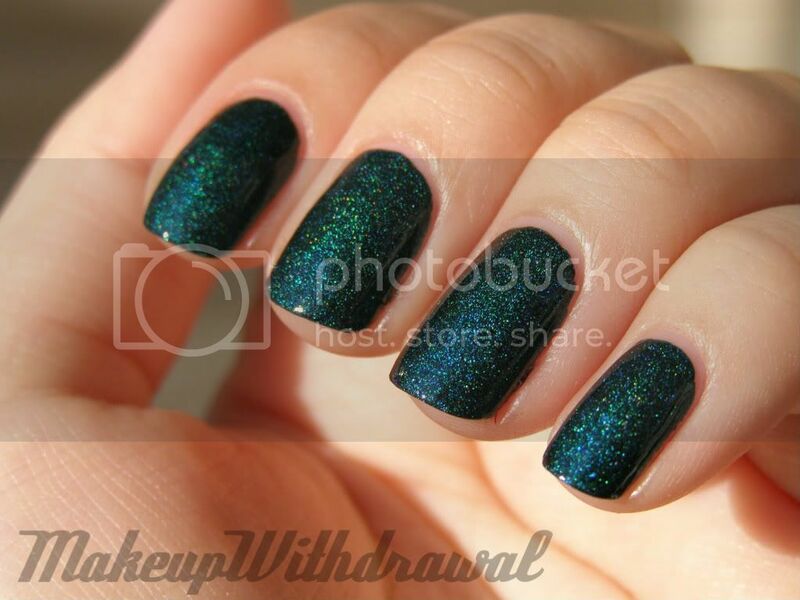 It's an intense teal scattered holo that I can't tear my eyes from when I'm wearing it. There also seems to be a touch of slight green mixed in, but I could be imagining things. 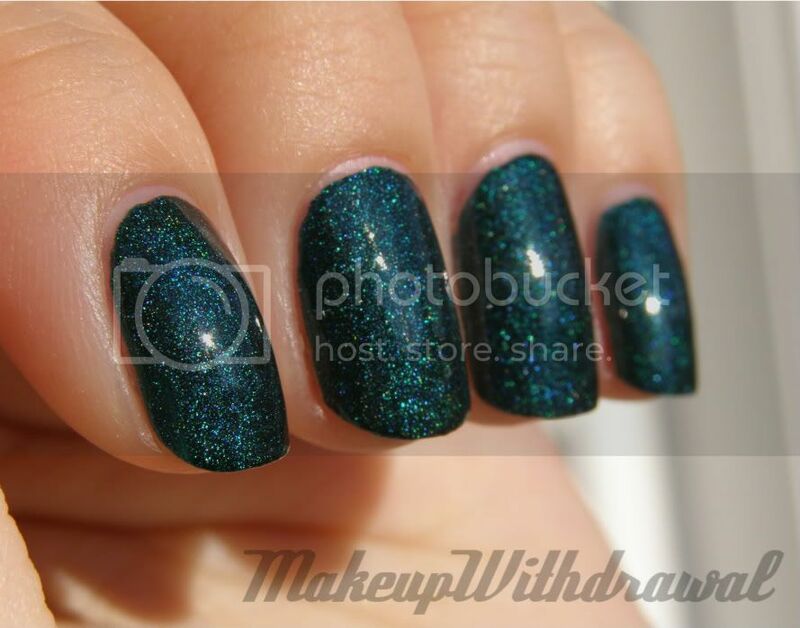 Saint George reminds me somewhat of OPI DS Extravagance, in the sense that holo adds to the vibrancy of the color but the holo effect is not all that strong. More like prismatic shimmer particles. Fantastic formula. This s two coats, but I know I could have gotten away with just one. The one slight drawback.... well, I don't want to say drawback. That makes it sound like a flaw, when really I mean there could be a slight improvement if the polish included mixing balls. I noticed that there was some thick veins of silver holographic pigment and I feel like this would help disperse it evenly. The price ($12 on Llarowe) seems fair for this size bottle (13ml). That's normally more than what I feel comfortable paying for polish, but this was well worth it. It's just a superb color.